The fast-casual Italian-inspired eatery Piada opens in Oakland. Ciao! An outpost of Piada, the Italian-inspired fast-casual restaurant chain, opened last month in Oakland. It’s the Columbus, Ohio-based eatery’s first foray into Pennsylvania. There are salads (with a choice of spinach, mixed greens or Romaine) and three preparations of angel-hair pasta (carbonara, pesto, diavolo). 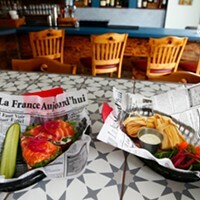 Diners are encouraged to add a protein, such as Italian sausage, calamari or a meatball, for a small upcharge. For non-meat-eaters, entrees can be spruced up with mixture of grilled zucchini and mushrooms. Part of the menu is seasonal; the fall/winter menu should be winding down soon, so make haste for the harvest-grains salad, made with farro, fennel and butternut squash. Some pairings seemed more inspired by California than Italy — can you really get an avocado-and-steak wrap on the streets of Rome? — but I applaud the appealing mix of flavors. The unique menu item is the piada, a large tortilla-like crust. This is heated on a grill, brushed with olive oil and dusted with salt and pepper. 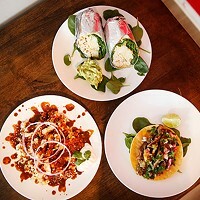 Once it’s prepped, the chosen fillings are added — tomato sauce, cheese, vegetables, meats — and the whole thing is wrapped up in foil like a burrito. 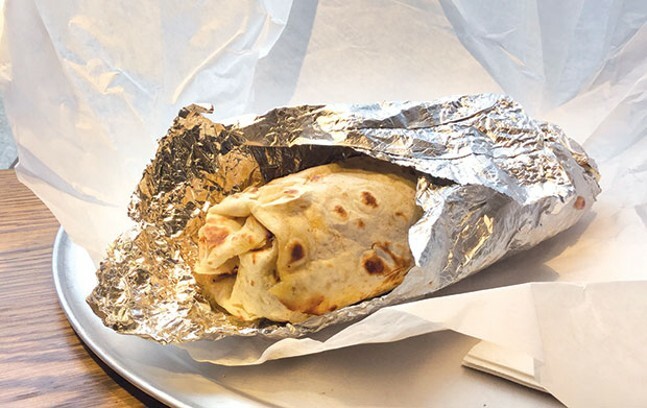 But unlike the softness of a tortilla, after the piada dough has been heated, rolled and cooled, it has a pleasing crackly crispness. The sauces make it a bit gooey on the inside, but this would still be the thing to order if you were on the move. The entrees were fairly large, so light eaters should check the sides, which include soups, cheesy breadstick-like things made from rolled-up piadas, and a single six-ounce meatball. 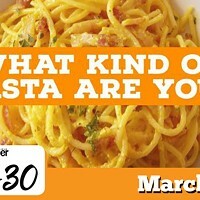 Taste30 Presents: What Pasta Type Are You?